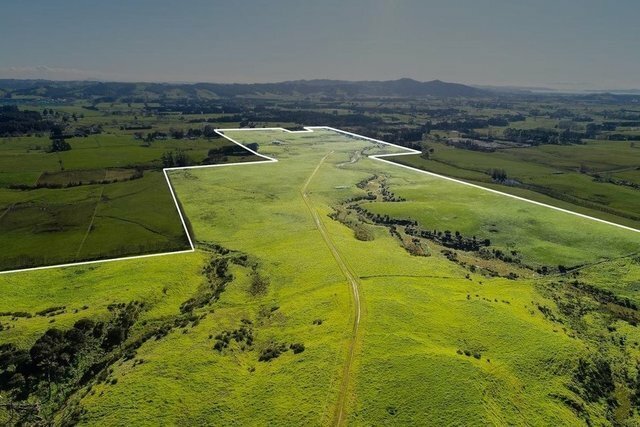 You can't stand in the way of progress and why would you want to when you can buy this 98.5ha block (can subdivide into four lots) and perfectly poised to exploit local explosive growth. Already surrounded by existing blue-ribbon lifestyle properties on flat and undulating contour, the property holds potential for several building sites strategically positioned to take advantage of stunning views stretching to the Manukau Coast and Coromandel. Run as a beef farm for 50 years with cross-potential for equine activities, horticulture, beef, sheep or cropping presenting scope for holding income while you start the consents process and formulate plans to develop. Extensive shedding and barns, races, yard and ramps with dual road access to 20 irrigated paddocks facilitating easy accessibility for stock trucks in the short term and building contractors/excavators in the long term. Any home built here will prove popular with a range of buyers attracted by cafes, retail in Clevedon Village with schools, parks, markets and beaches all within a close radius and a 30-minute commute (off-peak) to Auckland CBD and international airport. A large block ideal for an established developer looking for a manageable interim project or a superb platform for an up-and-coming developer to take their operation to the next level. A rare opportunity in a location where developable land is quickly diminishing. Direct inquiries in confidence to Cici Wang.